I need help, desperately. I have two valves on my pump, when looking down at them, the left one says "return" at the top, then spa is written on the left tubing and pool is written on the right piece of tubing, these all connect and go into the filter. Then, the only exception on the right says "suction" at the top with spa written on the left piece of tubing and pool skimmer written on the right. This set of tubing comes of the motor. So far today I have tried every combination I can think of and can't get the pool to skim. In fact, all I have accomplished is getting all the water out of the spa. And tick off a garden snake in the process. What direction are these valves supposed to be in???? 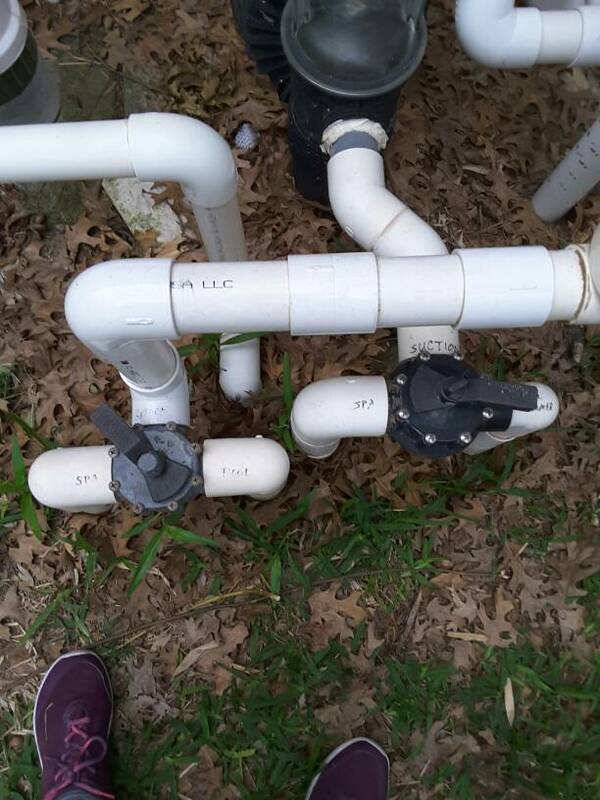 Please post a picture of the plumbing and valves as that will help understand your description. Note that for pool valves, the handle points to the opposite side from the pipe that is closed. They should even say closed on them. As requested. Thank you for the help. Keep in mind that the skimmer action is kind of subtle. It is not going to be so strong that it reaches out and grabs debris. One thing that can effect skimmer action is the little door (Weir) that is at the front of the skimmer opening. It should bob up and down with the water. If it does not move, or is missing, this could be your problem. Jim, the process flow makes sense, than you for detailing it out. So, for each mode, is this how I would have the valves set? 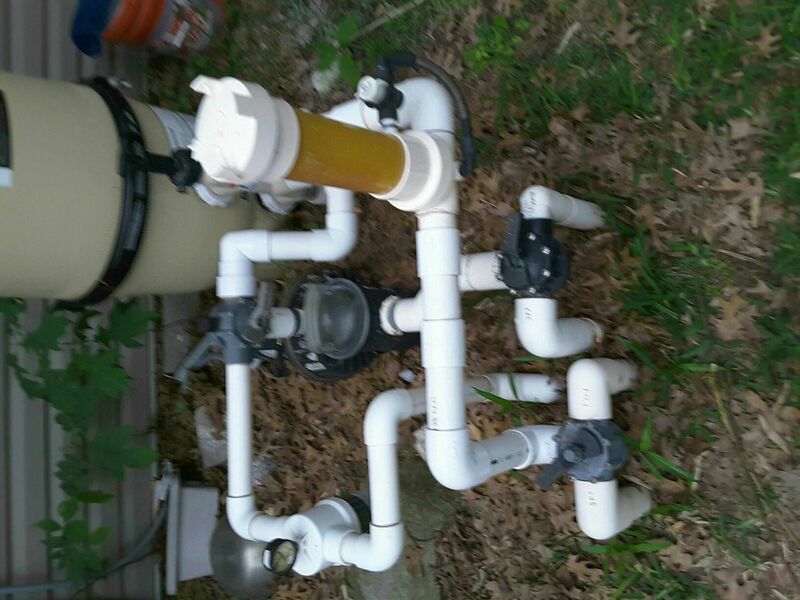 Spillover Mode: suction side set to pool skimmer, return valve set to spa. In the picture your suction valve is on pool and the return is mostly on spa mode, so that is going to overflow a lot. Normally, I would suggest the spa side of the return valve be mostly closed so most return goes to the pool. Do you have a weir in the skimmer? a Weir is the little door/flap between the pool and the in deck skimmer, at the water level. No, it was broken when we bought the house. The pool really needs an overhaul. That is why your skimming does not appear to work very well. You need to replace it. There are spring loaded universal ones that are a quick fix.